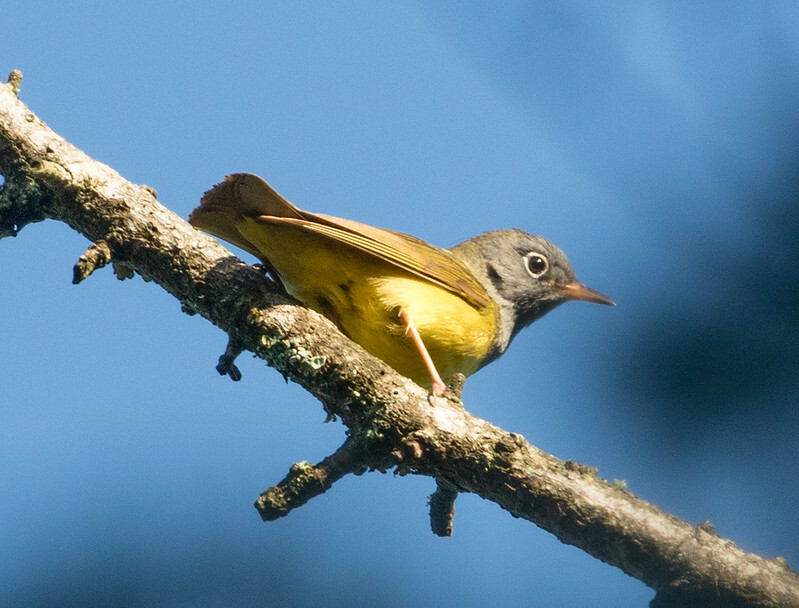 This splendid warbler is a Minnesota summer specialty, luring birders from all over to the Sax-Zim Bog and other boggy areas.It’s one of the rarest and most narrowly distributed wood warblers in the northern coniferous forest, second only to the federally endangered Kirtland’s Warbler, restricted in the U.S. largely to northern Minnesota, northern Wisconsin, and the Upper Peninsula of Michigan. This warbler is sparsely distributed throughout its breeding range, the densest breeding populations concentrated in a very small region of southern Ontario and northern Minnesota. The Minnesota Breeding Bird Atlas analysis indicates that Minnesota has 561,000 breeding adults, an order of magnitude more than the population estimates by Partners in Flight; data throughout the range and within Minnesota strongly suggest that the species has declined range-wide by 60 percent since 1970; surveys within Minnesota corroborate this disturbing trend.